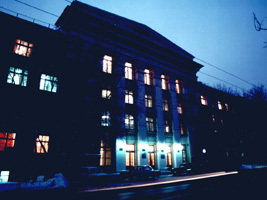 The Russian Federation State Institute of Cinematography (RFSIC) is the world's oldest film school founded in 1919 by Lev Kuleshov and Vladimir Gardin, outstanding Russian film directors and teachers. Famous filmmakers taught at RFSIC at different periods of its history. Among them were Sergei Enstein, Alexander Dovzhenko, Mikhail Romm, Sergei Bondarchuk, Anatoly Golovniya and many others. Some of RFSIC's alumni, such as Andrei Tarkovsky, Otar losseliani, Andron Konchalovsky, Vasily Shukshin, Nikita Mikhalkov, are known all over the world. RFSIC's faculty are highly qualified scholars are professionals working in film and television industry and in theatre. Even' year about 200 people enter the Institution. Since its foundation RFSIC has trained about 9000 specialists for Soviet Cinema and over 900 students from 75 countries. I'd like to inquire about summer film programs. I am a RISD student. Shujaat ali where you from in kashmir?. I want to take admission in direction in ur institute. I m from Sri Lanka. Is there any possibility of taking a 2 years course on cinematography here for International students?